Honda Cars India Ltd. (HCIL), leading manufacturer of passenger cars in India, introduced its much-anticipated new model, Honda WR-V. The WR-V is an all-new Sporty Lifestyle Vehicle based on Honda’s globally successful Jazz platform. It features a sporty and sophisticated exterior design, high quality spacious interiors with advanced equipment, top of the class fuel efficiency, powerful performance and full range of safety features. “Chennai is one of the most important markets for Honda Cars India, in terms of sales. 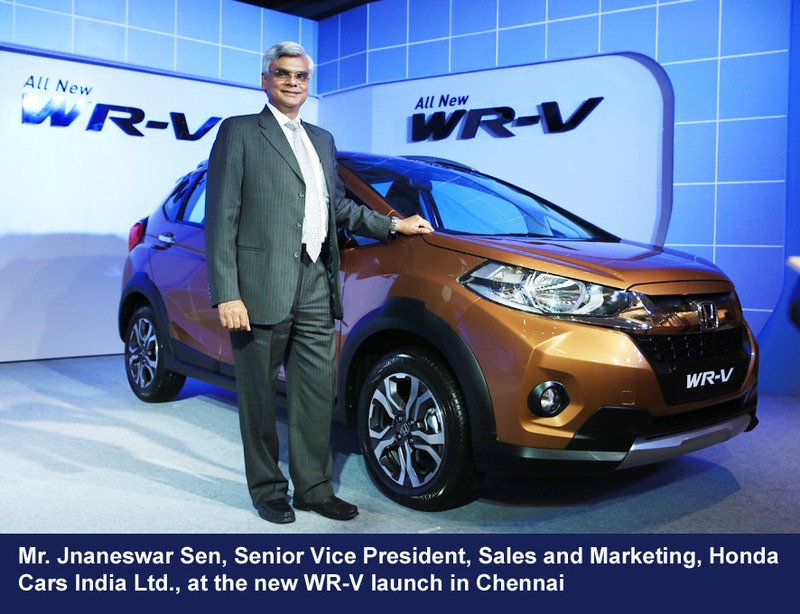 We are extremely happy to introduce the WR-V in the market. We believe that the car would aptly suit and compliment their lifestyle. We are extremely thankful to our customers in Tamil Nadu and in India at large, for their faith in the brand,” he added. The WR-V has been developed under the concept of “Refresh for Urban India” which is built around 3 core concepts of Urban Active Lifestyle that is high seating stance & ground clearance, Smart Compact Exterior with Spacious Interior along with Versatility & Utility, Pleasurable high quality interior& class leading fuel efficiency.